A magnificent new novel from one of America’s finest writers—a powerfully affecting story spanning the twentieth century of a widow and her daughter and the nuns who serve their Irish-American community in Brooklyn. On a dim winter afternoon, a young Irish immigrant opens a gas tap in his Brooklyn tenement. He is determined to prove—to the subway bosses who have recently fired him, to his pregnant wife—that “the hours of his life . . . belonged to himself alone.” In the aftermath of the fire that follows, Sister St. Saviour, an aging nun, a Little Nursing Sister of the Sick Poor, appears, unbidden, to direct the way forward for his widow and his unborn child. 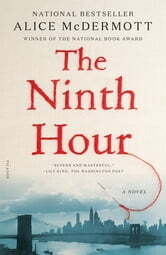 In Catholic Brooklyn in the early part of the twentieth century, decorum, superstition, and shame collude to erase the man’s brief existence, and yet his suicide, though never spoken of, reverberates through many lives—testing the limits and the demands of love and sacrifice, of forgiveness and forgetfulness, even through multiple generations. 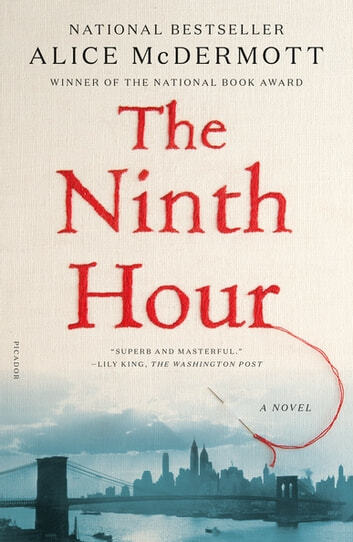 Rendered with remarkable delicacy, heart, and intelligence, Alice McDermott’s The Ninth Hour is a crowning achievement of one of the finest American writers at work today. A very thought provoking novel. I enjoyed the story line how it was years ago and made me think of how it is these days. Going to check out more books by this author.